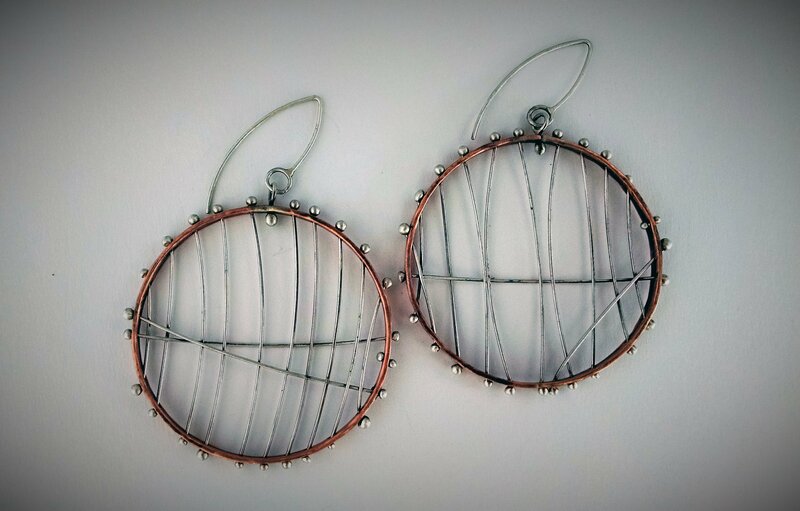 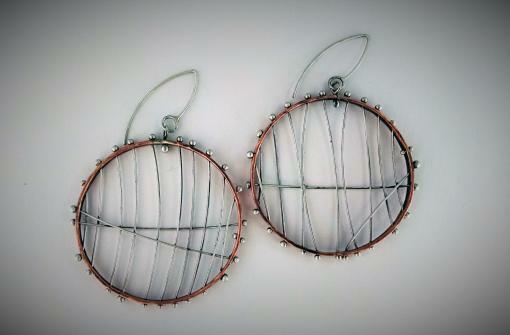 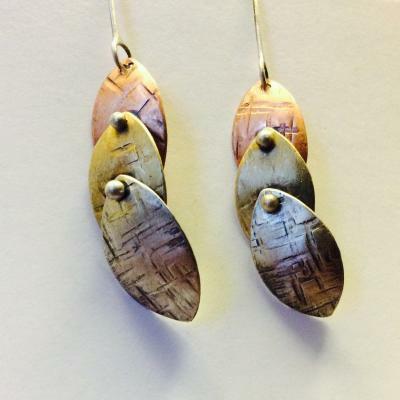 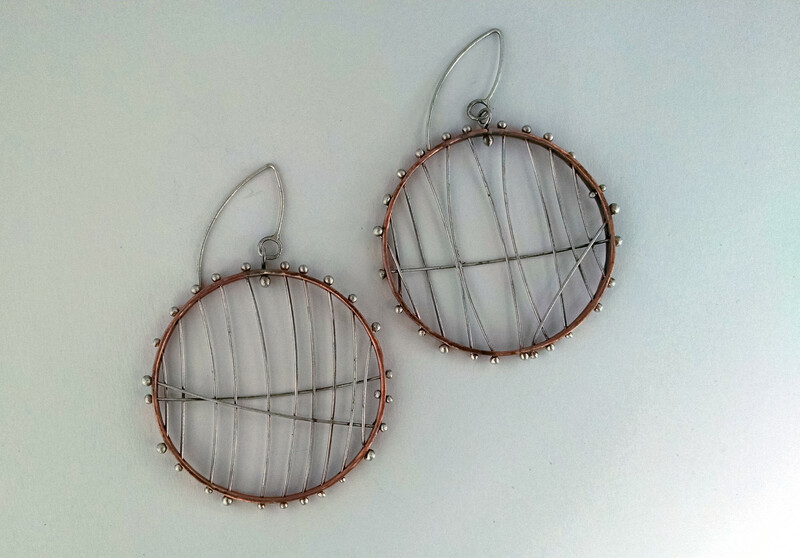 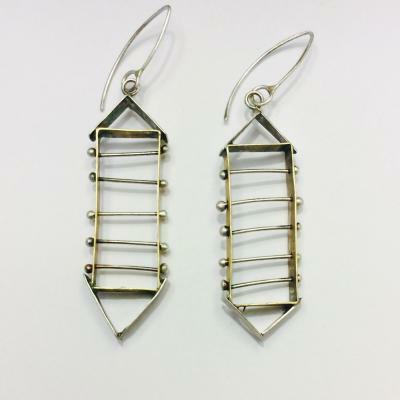 Hold your dreams in these sweet earrings, your choice of either brass or copper with Argentium silver. 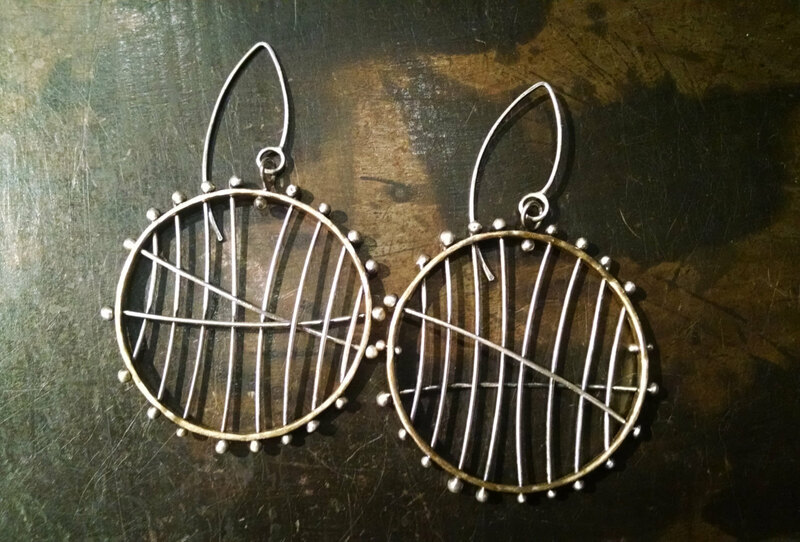 Approximately 1.8″ in diameter. 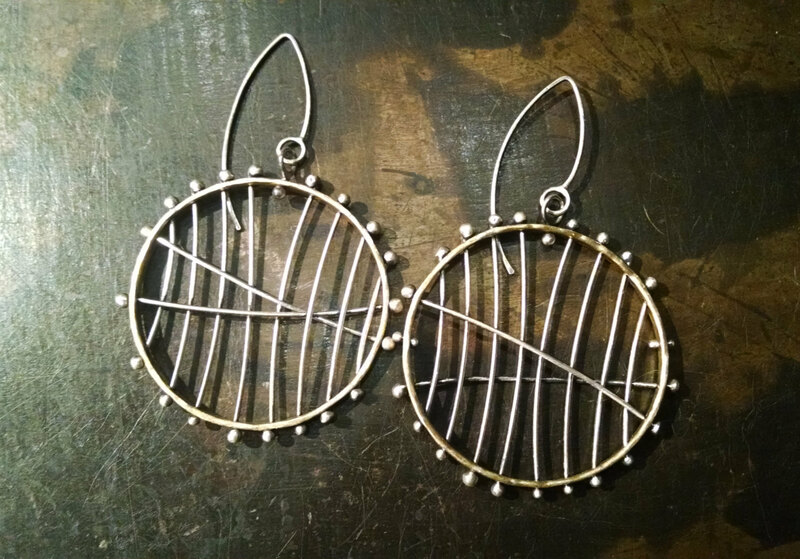 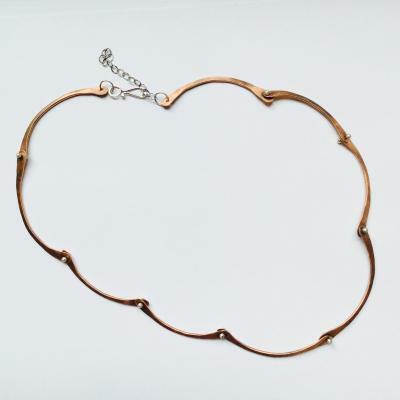 Soldered, forged, drilled, formed, fused, patina, and lacquered.